Fed up of the stupidly short controller cable on the NES Classic Mini? 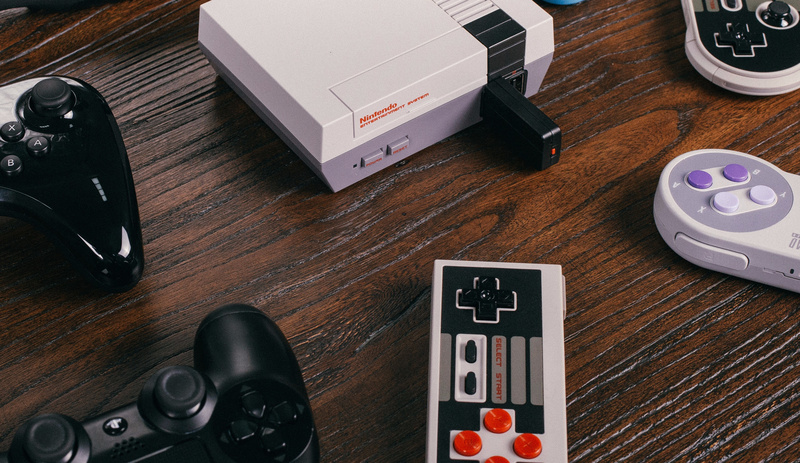 Fear not, because peripheral maker 8bitdo has confirmed today that it is bringing its own wireless control option to the NES Classic Mini. 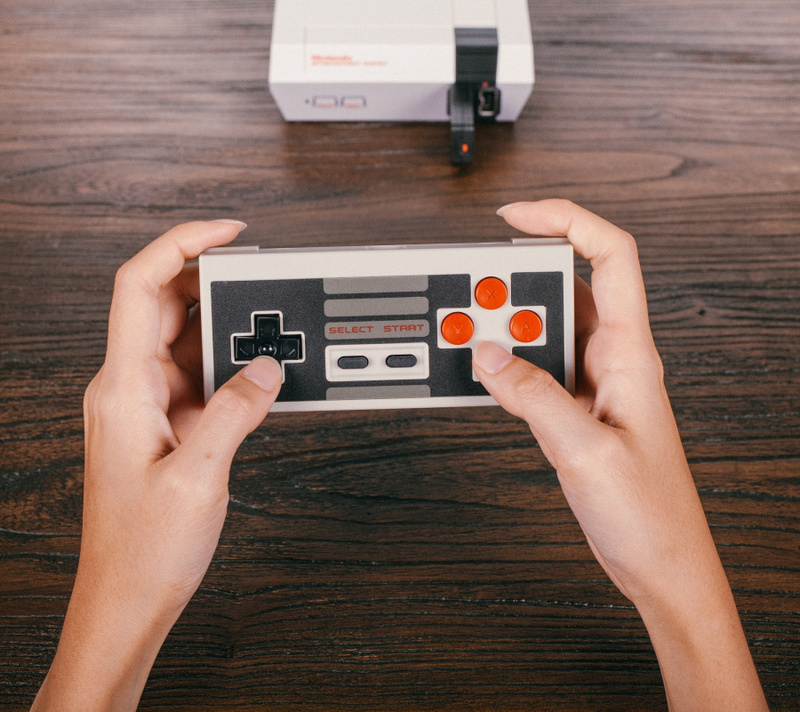 8Bitdo has already performed the same trick with the standard NES and SNES consoles, and will be selling its new NES Classic Mini option for $39.99. This price includes the excellent NES30 controller and the Retro Receiver for NES Classic Edition. Like previous Retro Receiver products, this unit will also be compatible with other Bluetooth controllers, including the Wii U Pro Controller, PS3 DualShock 3 and PS4 DualShock 4. It will also work with 8Bitdo's other controllers, such as the FC30 Pro and SNES30. You can pre-order the pack on Amazon now. Will you be laying down some cash? Let us know with a comment. That's a tad expensive considering the official controller is €13(if you can find one). 8bitdo consistently makes the best 3rd party retro nintendo controllers. I love my nes30pro and use it all the time. The NES30Pro is pretty awesome, esp. with the 8BitDo NES receiver. I do have to prop the receiver up (otherwise it tends to droop and the connection is lost); great otherwise. Wow, it costs nearly as much as the console itself! Why have they added X and Y buttons though? To be perfectly honest, because you need to have the console within reach to press reset and select another game, a wireless controller doesn't interest me. I can't be bothered to keep getting up to press reset, I'll stick with the wired controller. It's not bothering me too much. Man, I really don't see me spending 80 more dollars on this thing. I love my NES Mini, but I have a state job in WV. Not a professional football player. If I ever get the system itself, then I'll surely get one of these. Still don't like the 4 button layout. This is NES only 2 buttons needed. Its far cheaper getting an extension cable. Does it have a home button? Wireless is pointless if you cannot reset from afar. So, does this mean I can play VC games on my WiiU with this connection via wiimote? Sweet! I have the nes and sfc30 controllers! Wonder if there will be any delay with the buttons, like with the retropie or even a little tiny bit on my PC. Also, is there a link for European place to order? Postage cost to Ireland via Amazon.com are CRAZY expensive for the size of the package. Nothing on the 8bitdo website about it, on mobile at least. @Baker1000 while they're making a bluetooth receiver specifically for the mini NES, that controller is not specifically for the system. It is a general-purpose controller they've offered for a while. Use with Android devices is likely a common situation for them which explains the extra buttons. It will be interesting to see if they manage to emulate a "home" button for this so players could reset without going to the console. As for the price, I always expected something like this would be over half the price of the console. I'm kind of surprised they're doing it. I wonder if enough people will really buy it. Pre Ordered! I love the nes Mini and have a bunch of 8bitdo joysticks which are great. This won't disappoint! @readyletsgo @Baker1000 @enphos @sdelfin It says in the description: "Access the NES Classic Edition home screen by pressing DOWN & Select on the NES30 controller." Anyone complaining about the price probably doesn't realize what this is. 8bitdo controllers are extremely high quality Bluetooth controllers and the NES30 is already part of the lineup, hence the X/Y/L/R buttons. This controller is way more versatile than a normal Wii controller. You can use it with almost anything... Android, iOS, PC, Raspberry Pi, Retron 5, Wii, PS3, and I'm sure I'm missing things. I have a few and I use them all the time. This bundle is well worth it, trust me. You'll find use for this controller long after your NES mini has started collecting dust. @Baker1000 8bitdo website links to amazon to purchase the classic mini controller and receiver pack where it states pressing down + select will take you to the home screen. No getting up to hit reset! 8bitdo products are amazing i have the us and eu/jp snes controllers and the snes and nes receivers. The controllers will also work with android, pc, wii and wii u and are amazing. I love 8bitdo they are doing great work with their products and im just some random aussie who loves retro games, not affiliated in any way. Ps if you look on ebay you can often find 8bitdo stuff direct from china for around $10 cheaper than buying from other retailers like rspberry pi dealers etc who tend to get stock in and mark it up. Should be $20, but they do make solid products. I have a Bluetooth Snes lookalike and it is a nice pad. This is actually an incredible deal, the controller by itself goes for 35 or so. Sadly, the controller is what's holding back my purchase. Over the years I've had many of their controllers, but this particular model broke on me. That little USB charging port broke off and fell back into the casing. This shocked me because I take incredibly good care of my controllers and had barely used the NES30. 8bitdo offered to repair it for me for 2/3 the cost of the pad . So buyer beware. Still, the receiver works on so many other controllers IT would make a great purchase and I hope they begin to market it separately. All the accessories in the world can't cover up the fact Nintendo really dropped the ball on this one. If you want a Nes Mini you should be able to buy one, not including going through scalpers and the like. I have one myself but just out of chance. I could easily be in the other camp - as so many are. @lillith that sounds better. 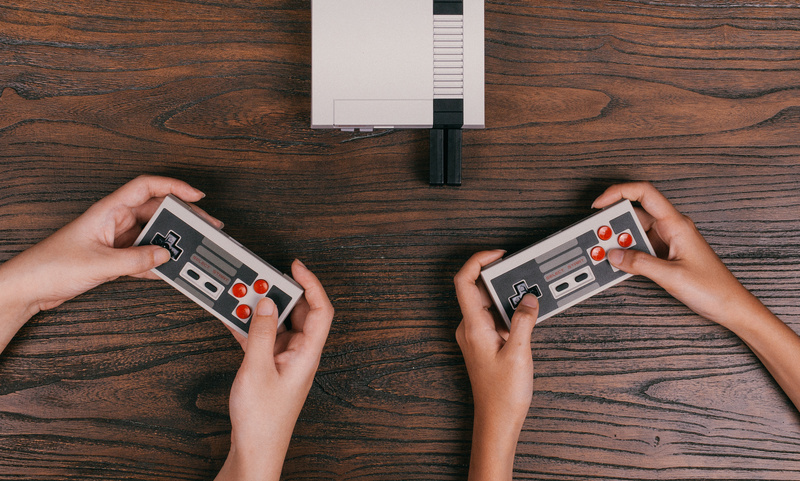 They needed to built a home shortcut into the NES Mini controllers tbh. @lillith excellent. Thanks for the information. If A/B are mapped to B/Y, I can't play that way. I know many players somehow use one thumb for both buttons, but I always used two fingers for A and B. @DarkKirby Yeah, I actually downgraded the firmware on my second 8bitdo NES reciever so that I could use A+B. Also they will need to preserve A+B specifically for use with the NES Mini if they expect X+Y to work properly with Wiimotes or in the event Nintendo releases an SNES Mini in the future. Yes I'm aware that would be kind of pointless to use with a Wiimote as it would need two Bluetooth connections to transmit data (imagine if the Wiimote synced to the reciever piggybacked onto it in an infinite loop??? ), but I absolutely loathe using the Y+B combination for two button games even though many gamers swear by it. Nintendo used B+A on the DS, 3DS, Wii, Wii-U VC, and even the Game Boys and Dog Bones tilted this direction, so why not keep it this way?